Back by popular demand! 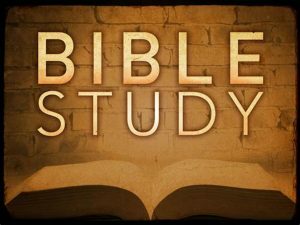 Bible Study will resume on Thursday, Feb. 7, at 11 a.m., in the church parlor. Come study scripture and expand your relationship with the Lord. Led by Pastor Sharon.